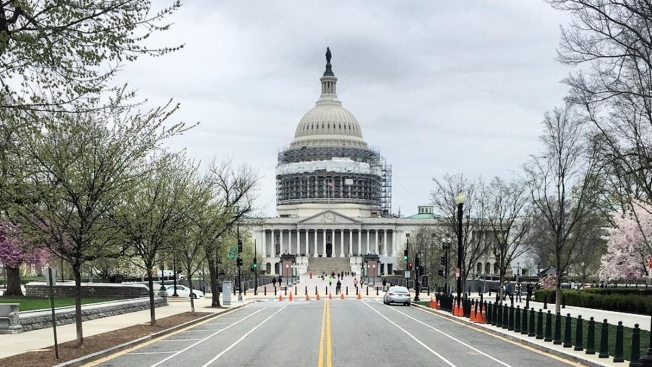 The U.S. Capitol building is seen in this Sunday, March 27, 2016 file photo. Mayor Muriel Bowser, a Democrat, has pledged not to submit this year's local budget to Congress after a judge ruled in favor of the District's so-called "budget autonomy'' law, but House Speaker Paul Ryan and other Republican leaders have cast doubt on whether the city has the authority to take power away from Congress. An oversight subcommittee will examine the issue at a hearing Thursday.